Available now, Finnair customers can offset the carbon dioxide emissions of their flights either by supporting a CO2 emissions reduction project or by purchasing biofuel flights. The launch of these two initiatives also include the provision of offset payments towards reduction of CO2 emissions and a new Push For Change service available on Finnair web pages. “Aviation has several positive economic and social impacts, and it is important that we work to build more responsible air travel” says Topi Manner, Finnair CEO, in a written release. The CO2 emissions reduction project is the result of a partnership between Finnair and NEFCO, a financial institution established by Nordic Governments to finance sustainable green growth and climate projects. The offset changes will help fund an emissions reduction project identified by NEFCO in Mozambique, enabling the use of more efficient cooking stoves, which, in turn, reduce wood charcoal consumption and deforestation. 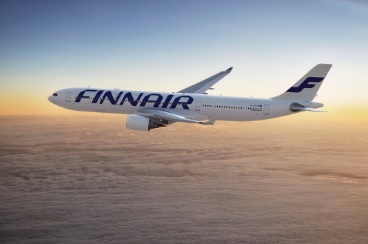 Finnair customers can choose to support a CO2 emissions reduction project by making offset payments of one euro for a return flight within Finland, two euros for a return flight within Europe, and six euros for a return intercontinental flight. The charges are based on the average emissions and costs of reducing a CO2 ton within the project. The payments are transferred to the project in full through NEFCO. Finnair also offsets the CO2 emissions of its own personnel’s duty travel through the CO2 emissions reduction project.